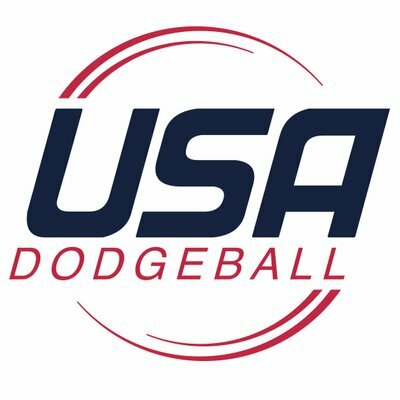 There are several big matches taking place in the league this weekend as teams make their final show of strength (and overall adjustments) in preparation for Nationals 2019. As exciting as it will be to see who comes out on top as “The Big Three” (GVSU, JMU, and Towson) clash one more time, my eyes are focused on the matchup in the Southern Region happening this morning. Once again, the University of North Georgia will host Georgia Southern University in a double header matchup that will give us a lot of insight on where these two programs are as they both get ready to wrap up their third season in the NCDA. These two teams joined the NCDA together, playing their induction match against one another back in the Fall of 2016, and have a strong history of matchups. Unfortunately, in all of those matchups so far UNG has continued to come out as the stronger team. It has taken some time, but the ability gap between the two teams seems to have started to close. The question is, has it closed enough for us to see some different results from their clash this time around? The captains of both teams weighed in and let us know their thoughts. The UNG Nighthawks are currently being hailed as the kings of the Southern Region thanks to their big win over the University of Kentucky during their home tournament back in the fall of this season. Since then however, they’ve been fairly quiet, even though the rest of league has been wanting to see how they fair against even bigger opponents from other regions. Hopefully sitting idle has not made them soft. We shall see after today and during their performance at Nationals. Captain, Royce Hogg, along with assistant captains Bailey Hankins, Luke Cheney, and Thomas Clements feel as though the core strength of their team is still there. They are also excited to see how some of their young arms, such as Tanner Fields and Vince Bartolomei, play today. Confident as always, the Nighthawks believe they will come out with two more wins under their belt and have the knowledge on what they need to work on before Nationals. Score Prediction: 5-0 over GSU in both matches. The GSU Eagles have made some big and much needed improvements to their game since their first season, but have still struggled a bit to really take their game to the next level in order to compete with stronger programs. However, they have made big moves this season to travel and play other teams in the league in order to gain more experience. Although a bit more quiet in the second half of the season, GSU has worked extremely hard to build up their ranks and train hard in preparation for Nationals. Today’s matches will show us whether or not that hard work has made a difference. Captain, Brett Storie, along with assistant captains Pastula Travis and Sam Copland, believe that we will see a new force on the court today if they are able to keep their composure, formation, and overall teamwork together. Veterans, like Andrew Clough, have helped to picked up the pace for the team, while rookies, like Matt Faulkinberry, have really grown since their first matches back in the Fall. They are looking foward to showing UNG, and the league, that they are a team worth talking about.